Welcome to Medieval Monday! 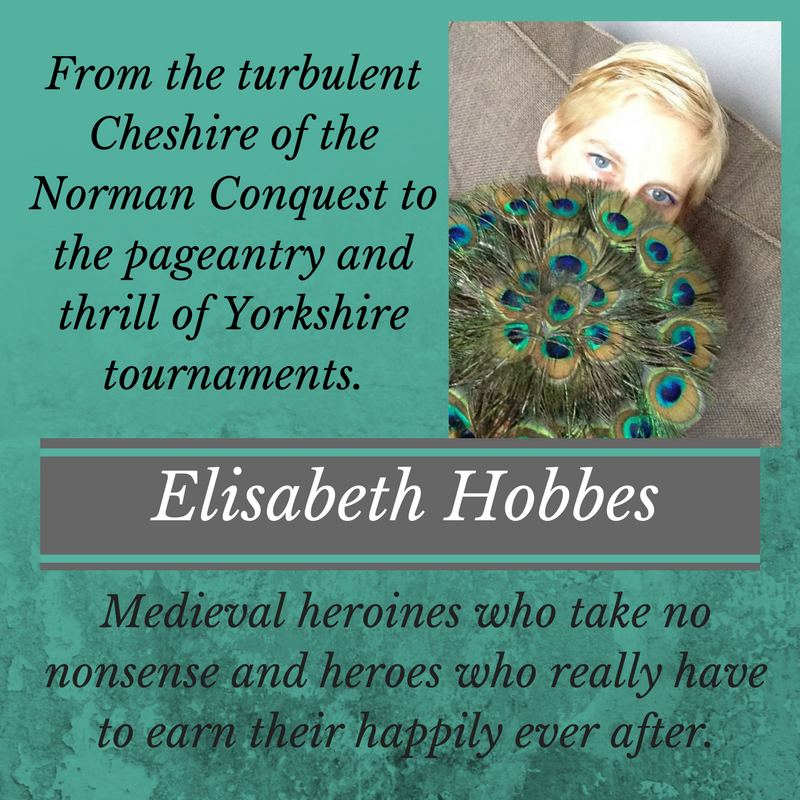 My guest author today is Elisabeth Hobbes, and she’s sharing why she writes medieval romance. The Medieval period had very clearly defined conventions, social structure and strict codes of behaviour, and transgressing these had real, life threatening consequences. Not for my characters the genteel Regency ballroom and risk of being ‘cut’ by the Ton. Put a foot wrong in my world and you’ll find yourself on the wrong end of the sword not a snapping fan! It was a time of conquest and conflict, tournaments and battles. Life was harsh and dangerous, life expectancy was low but the period gave rise to the code of chivalry and some of the greatest architecture still standing. As well as writing Elisabeth is a part time teacher and full time mum to two children. She spends whatever spare time she has reading and is a pro at cooking one-handed while holding a book. Elisabeth’s other hobbies include horse riding, skiing, Arabic dance, fencing and exploring dreadful tourist attractions, none of which has made it into a story yet. She loves ginger mojitos, historical fiction and has a fondness for dark haired, bearded heroes. Cool post. So much history in and around York! Thanks for stopping by! Yes, York is amazing! Very interesting post. Enjoyed it. Not sure I would have liked to have lived in Medieval times. Thanks for stopping by! Glad you liked the post, and I know what you mean about medieval times. Not too bad if you were wealthy or had an eye for a nun’s or monk’s life. Otherwise, times were tough!